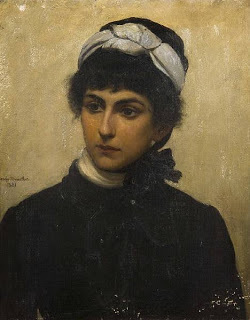 Georgiana has always confused me so much by not being the daughter of the author George MacDonald, even though his book 'The vicar's Daughter' seems to describe the daughter as marrying a pre-Raphaelite! however, I understand they were friends, so perhaps he drew on her experiences. Have you any insight into this? Ah, I see the confusion as her father was called George MacDonald too! 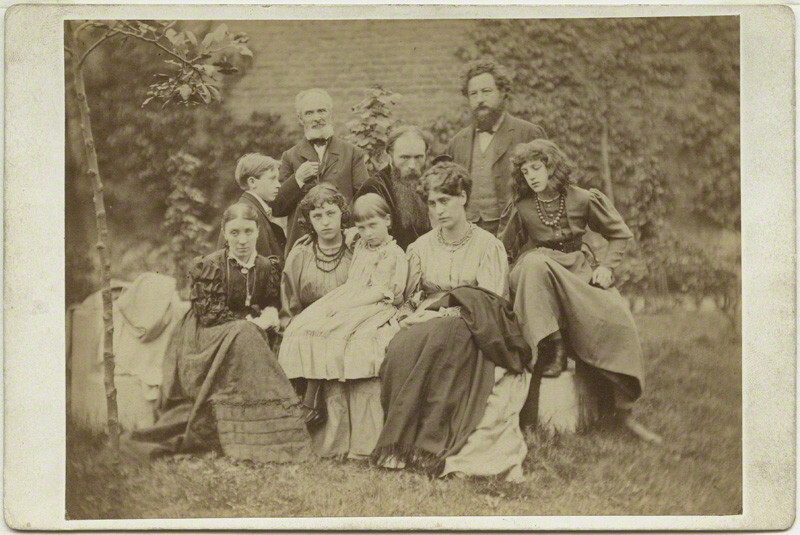 The author MacDonald moved in the same circles, being a close friend of Ruskin and Lewis Carroll and so would have known the Burne-Jones family. The use of the Pre-Raphaelite woman would have been an obvious choice for him, and it's interesting seeing it used so early (1871 for The Vicar's Daughter). 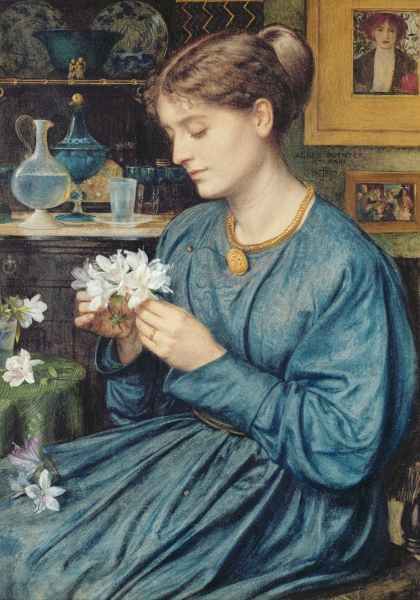 It would be interesting also to hear of a Pre-Raphaelite Woman character based on someone other than Jane Morris. Thank you for another interesting post. 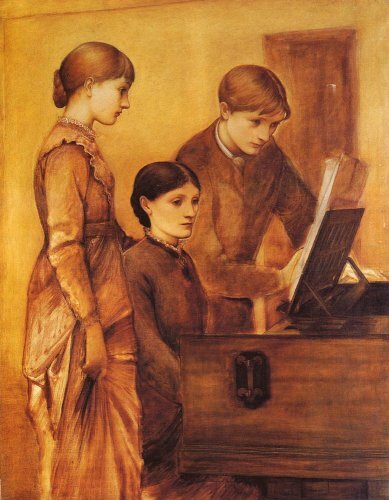 I have just read the book about Burne-Jones and May Gaskell by Josceline Dimbleby, but I don't remember reading that there was a child from this relationship. 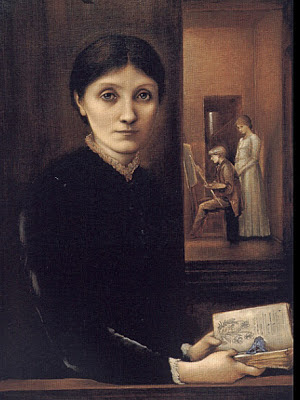 The mother, Helen (May) had two daughters, Amy and Daphne and Burne-Jones painted a beautiful portrait of Amy aged 19. The letters to May are passionate and there is no doubt her marriage was unhappy and that she was a beautiful woman, but I got the feeling from the book that she held Burne-Jones at arm's length, due to social conventions. Have I misread the book, or is there evidence from another source? I would be really interested to find out. I think I need to read the book again! 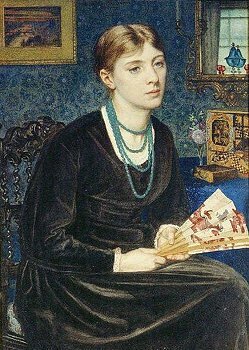 I always thought an excellent Pre-Rapahaelite novel would be seeing the entire movement through the eyes of Georgie Burne-Jones, who was a quiet, intelligent observer of all the triumph and tragedy. I would really like to know more about her. I love the drawing Ned did of her studying at the long table covered with books. EBJs relationship with his young ladies is such a difficult one and must have caused Georgie no end of grief because he seems to have been such an object of fascination for them all. 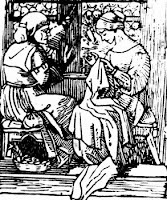 Nice post,I have just been to Kelmscott Manor and loved ,the village too. I have also read the latest biog of Burne Jones and the Dimbleby book about May gaskell. Burn Jones was obviously very lovable but I did feel for Georgie as I do for William Morris.There are some photos and a bit about our break at Kelmscott on my blog. Thanks Angela. 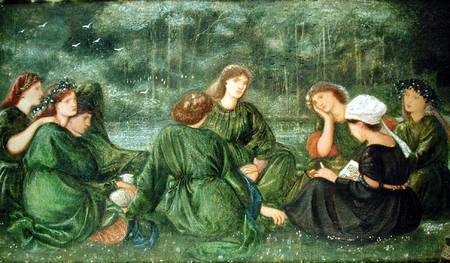 I always like doing Kelmscott and Buscot Park together because it's a way of cramming in the most Burne-Jones/Morris work together. Living down in Truro it is not that easy to get to places but we shall go back again. Like your posts very much. 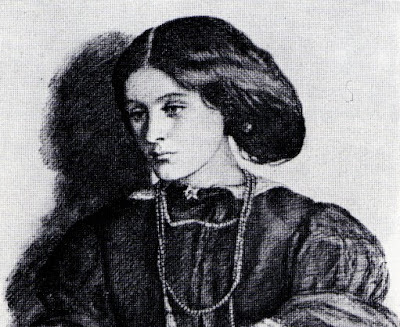 I've always been fascinated by Georgie (and the triangle between her, Ned and Mary Zambaco)...she seemed to be in the same boat of disloyal husbands as many of the other Pre-Raphaelite wives, yet she was so cool about it. Thank you for this lovely post! I didn't know about Ned's relationship with the girls...it makes me feel even more sympathy for poor Georgie. I do love the photograph of her from 1856 and 'Green Summer' is lovely! Have read much of your site but not commented before. Very enjoyable, a small window to a fascinating time. Thank you! There is a Georgiana Burne-Jones connection here. When he was very young Rudyard Kipling’s family moved to India. However, his mother wanted her son to receive a formal British education so, when he was 6, she sent him to Southsea, Hants, where he lived in Campbell Road with a foster family named Holloway. 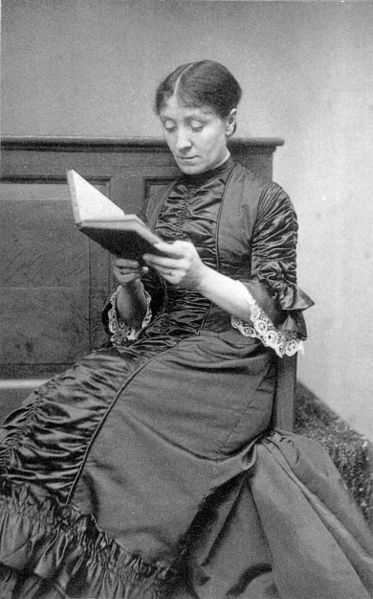 Unknown to Kipling’s mother, Mrs. Holloway was a brutal woman who constantly beat and bullied the boy. 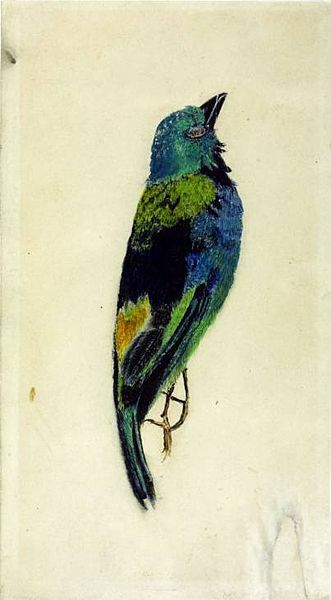 Consequently, Kipling struggled at school. Despite suffering this wretched existence he told nobody of his problems; his only respite came in the December, when he traveled to Fulham, and stayed with relatives for a month during the Christmas holidays. And here’s the connection. The relatives in question were Mr and Mrs Edward Burne-Jones. 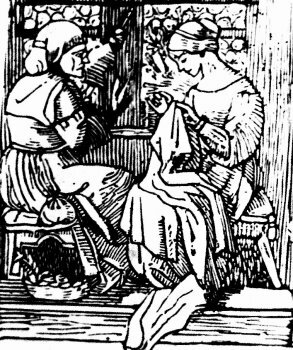 Georgiana was Kipling’s aunt. 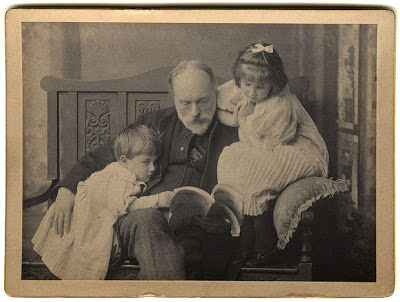 The point to all this is that Kipling regarded his time with the Burne-Joneses to have been the happiest of his childhood. In fact he had only felt truly safe and secure when he had reached their home and had hold of the bell pull. So, when he grew up and made his fortune he tried to buy the house but the then owners didn’t wish to sell. However, they sold him the bell pull and he had it installed at his home at Burwash in Sussex where it remains today. 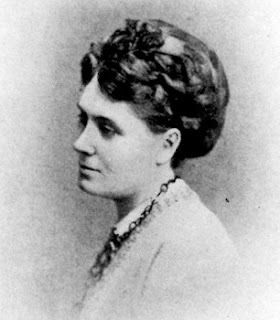 For the record, when Kipling’s mother, Georgiana's sister, Alice, heard her son was unhappy she returned from India and rescued him. To his delight he spent more time with his aunt Georgiana. Interestingly, there’s a blue plaque on the house in Southsea commemorating Kipling’s having lived there. When I spoke to a local about it he thought it concerned a man who makes exceedingly good cakes. I have a few relatives who live in the Wirrall which is useful as it allows me the opportunity to visit the Lady Lever gallery. During one visit in 1998 I was present when they were, for some reason, moving "The Beguiling of Merlin" and this was done with the help of a mechanical hoist. Until then I'd had no idea just how big a canvas that was. Thank you for comments Tony. I work in Portsmouth and didn't realise that connection, how fascinating! Yes, that canvas is a whopper! I love seeing paintings in real life as sometimes it can be a real surprise, can't it? Bother! I was at Bateman's last year and didn't think to put my hand on the bell-pull.